Between 2006 and 2009 I was commissioned by the Portishead Quays Consortium to photograph the development of the public art programme in and around the new Portishead Marina, documenting the artworks and often their installation too. 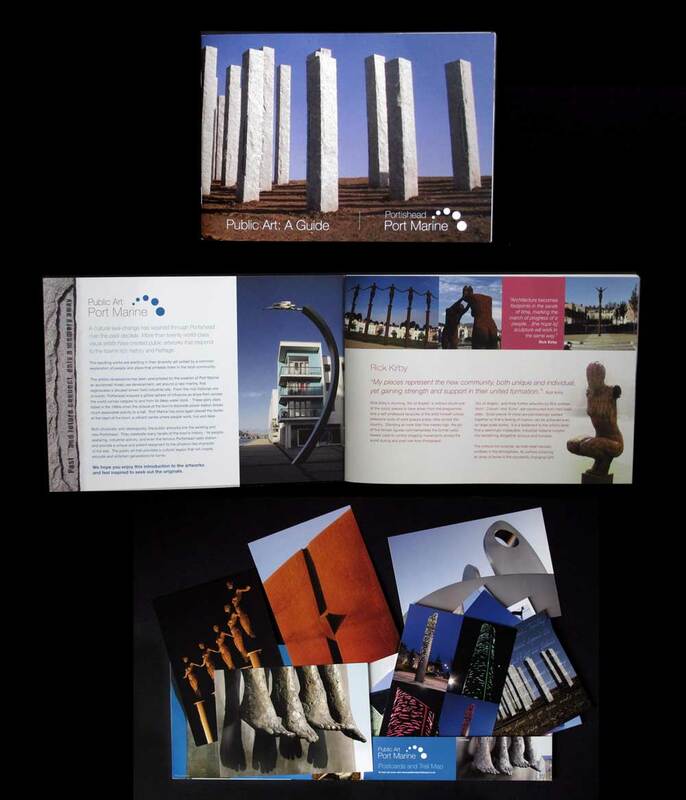 The Public Art Portishead website tells the story of the entire project with details of the history of the area, profiles of the artists and their work, information about the related community-based arts project that took place as part of the development scheme and more photographs. On completion of the project a booklet was published for visitors and residents which contained a map of the trail and a set of postcards of many of the artworks I had photographed, these brochures were distributed free to the community through public libraries, and all primary schools in Portishead.